Pour into cups, or sippy-cups with straws. *When bananas get overripe on the counter, peel them and freeze in a ziplock for later. At times our grocery store will sell dark bananas at a steep discount and I swoop in and buy a couple dozen. 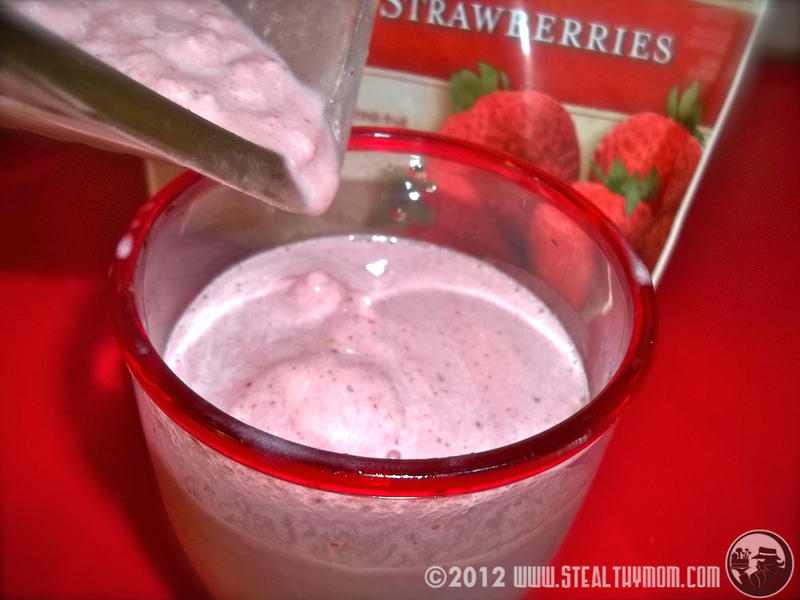 Frozen bananas add texture to a faux milkshake that is close to ice cream. For other natural food recipe ideas, check out Traditional Tuesdays, Fat Tuesday, Slightly Indulgent Tuesday, Real Food Wednesday, Healthy 2Day Wednesdays, Frugal Days, Sustainable Ways, and Allergy Free Wednesdays, Gluten Free Wednesday, Thriving on Thursdays and Fight Back Friday.